The beauty of barn doors with double action hardware. Barn Door Detail on one side only (British Brace | Double Arrow Design). 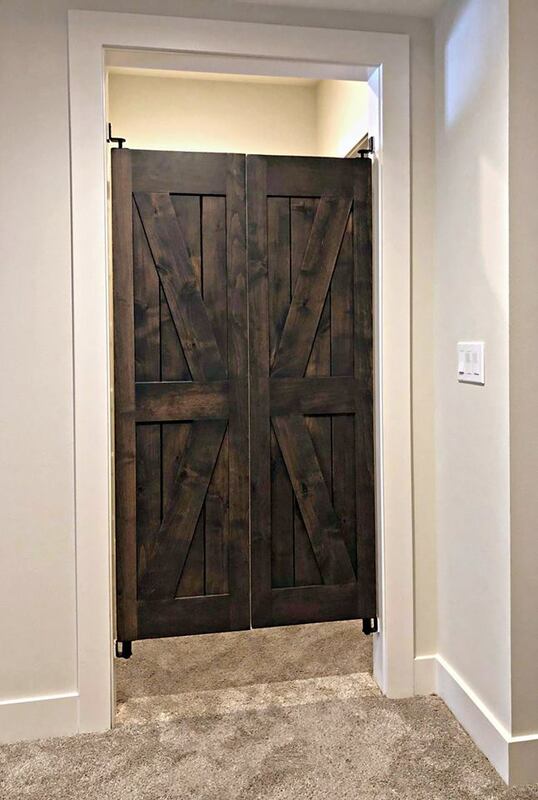 The doors can be used as bedroom doors, closet barn doors, or interior double barn doors. 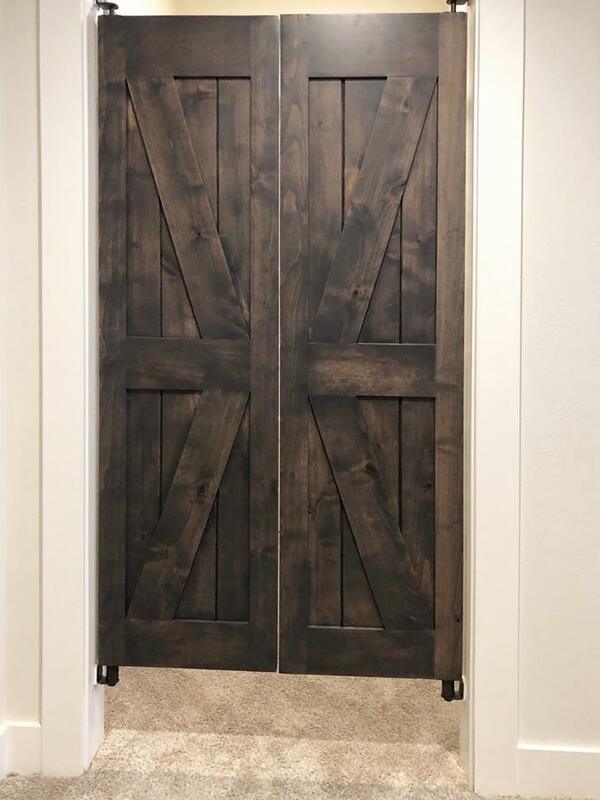 Purchase includes a pair of swinging barn doors as shown in the image.